Time, sun exposure and gravity may cause our neck and lower face to show signs of aging including sagging and loss of contour, jowl formation, neck thickening, and neck muscles can weaken and become band-like. These “turkey neck” changes can make some individuals feel self-conscious about their appearance and appear heavier and older than they actually are. In some people, the neck can age before the face, causing disparity between the appearances of the face and neck. 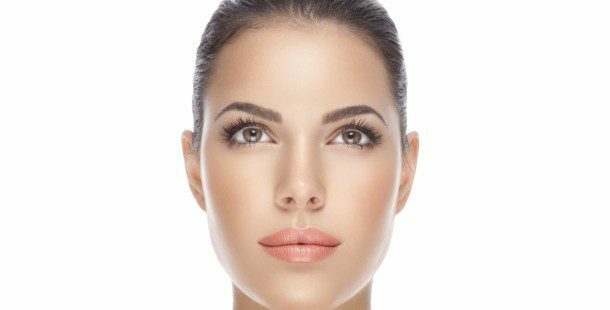 Specializing exclusively in facial surgery, our Facial Plastic Surgeon Dr. Bassichis is renown for his expertise in facial rejuvenation surgeries with healthy natural outcomes. A Necklift may be an excellent option to correct excess skin in the neck, excess neck fat, and/or muscle banding. Necklifts are often performed in conjunction with a facelift, although they can be effectively performed alone as well. Based on your individual needs, Dr. Bassichis will customize your Necklift surgery to specifically address your anatomy as well as your desired changes. Minimally invasive endoscopic techniques may be used to remove excess fat and tighten muscles of the neck. Other procedures for more dramatic rejuvenation of the neck entail removal excess fat and skin with tightening and repositioning of the neck muscles. After Necklift surgery, a rejuvenated, more contoured neckline and jaw-line is revealed. Procedures such as neck liposuction, fractionated CO2 Laser resurfacing or a chin implant may also be performed to further enhance the appearance of the neck and optimize your aesthetic outcomes from Necklift surgery. It would be our pleasure to answer all your questions about neck rejuvenation at your complimentary consultation with our double board certified Facial Plastic Surgeon, Dr. Benjamin Bassichis. Please click the photo below to be immediately connected to our PHOTO GALLERY.